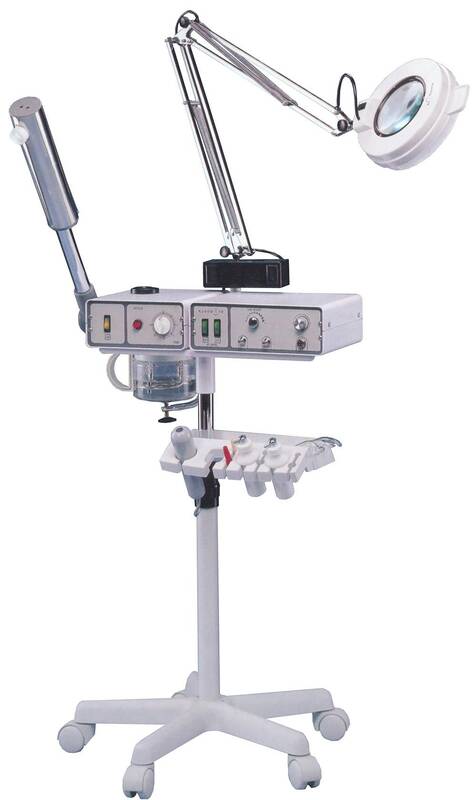 Four function facial machine features a steamer, vacuum/spray, high frequency, magnifying lamp, and five caster base. This four function facial machine features a steamer, vacuum/spray, high frequency, magnifying lamp, and five caster base. A versatile addition to your skin care practice.